I’ve had so much fun connecting with various entrepreneurs and business owners over the years. Brittany, a lawyer based in South Carolina reached out to me for my $100 Headshot Session and we met on a dreary, cold morning in January in uptown Charlotte. She told me about the law firm she was starting, Law Office of Brittany Sutton and when she indicated that she was covering creative law I was super excited to know more! Sometimes working as an entrepreneur we feel like we have to figure things out on our own. A lot of times we go into business not getting all of our legal ducks in a row, so to speak. Either because money is tight or because we don’t know where to turn when it comes to all things legal we draft up contracts on our own that may not fully protect us in the event of a lawsuit from a client. Thankfully this has never happened to me, but there’s a first time for everything and if and when that day ever comes I want to make sure I’m fully protected and if you own your own business you should feel the same way. 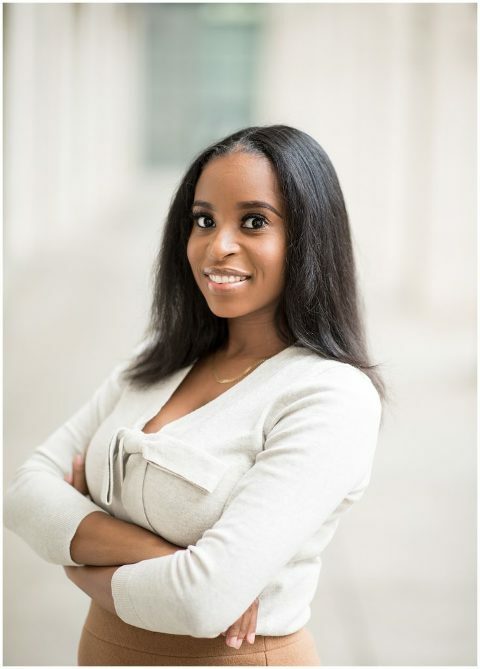 I definitely plan to pass along Brittany’s information to my fellow entrepreneurs that can use her services once she gets things up and running. Her professionalism and kind spirit from just the short time period we spent together let’s me know she will go far running her own business. I’m so excited to see where her career takes her and hope I get the opportunity to work with her again in the future. Once her business is up and running make sure to visit her website here. And if you’re in need of updated headshots then I’d love to chat with you about bringing your vision to life. Contact me today so we can begin planning!